Saville's Wave Professional Focus and Wave Professional Styles tests received 27/30 stars in a BPS (British Psychological Society) independent review and provide the best-in-class predictor for potential, work performance, competencies, strengths and preferred culture. By completing Saville’s international accreditation course you will gain immediate access to over 180 aptitude tests and leading personality questionnaires that predict workplace performance and potential. Saville’s assessments are available in 40 languages, including Polish, and benchmark talent against local and international norms enabling you to hire, build and lead talent throughout your whole organisation. 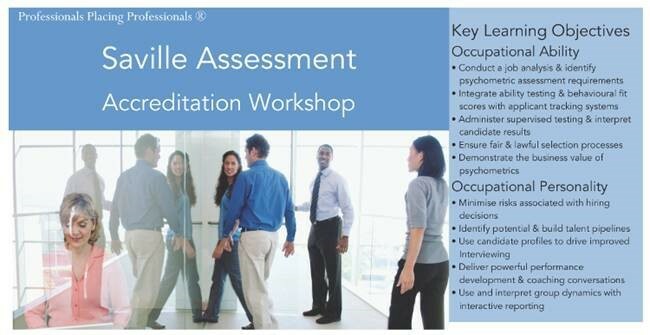 To benefit from Saville’s extensive range of industry-leading Wave Personality Questionnaires and Swift Ability Tests sign up to our two -day (Wed 22- Thu 23 May) accreditation course. The course will be facilitated by a member of Saville’s UK-based team, Nikki Molloy, and will be held in English. This accreditaion course contributes to BPS membership however full membership requires additional training which will be offered in Poland.